These Caterpillars are pale pink or purple, with black spots. They bore into the stems of their foodplants, leaving a smelly messy feacal matter in the hole as they go. 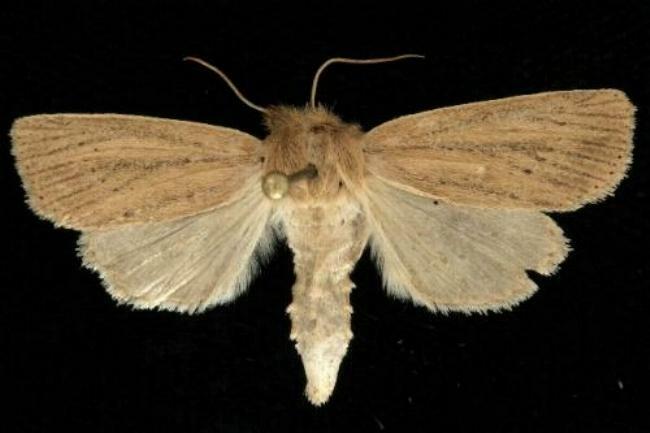 They will often move from stem to stem as they destroy a shoot on which they have been feeding. Dallisgrass ( Paspalum dilatatum ). Ginger ( Zingiber officinale, ZINGIBERACEAE ). They grow to a length of about 4 cms. They pupate in the tunnel they have bored. 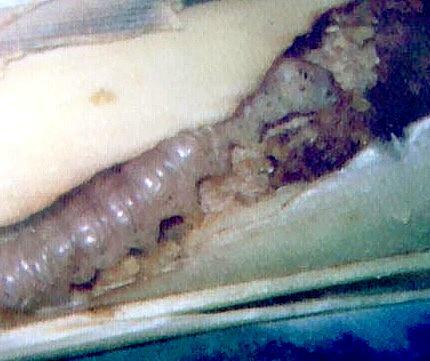 The pupae have a length of about 2 cms. The pupal stage lasts for about 12 days in summer. 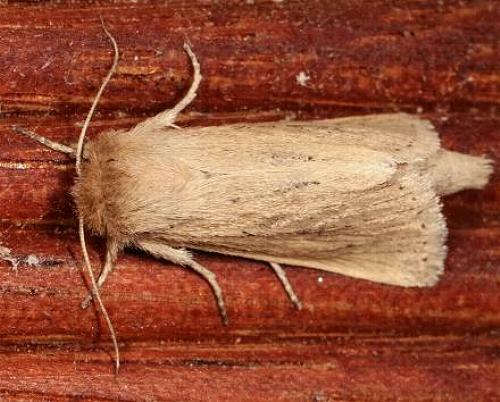 The adult moth is beige, with some dark markings, and a narrow dark line from base to mid-margin on each forewing. 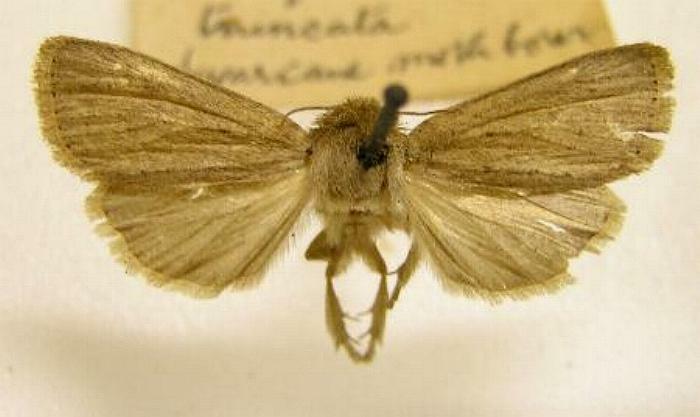 The female moths lay about 600 eggs, in clusters under the edges of leaves of foodplants. The eggs hatch in about eight days. Melbourne University Press 1990, p. 462. Part 9 (1856), p. 111, No. 79.